Elche have been demoted from La Liga because of unpaid tax debts and Eibar will take their place in Spain's top flight next season. The Alicante-based side, who finished 13th in the league, were punished for "very serious infractions" of Spain's sports law and fined 180,000 euros. 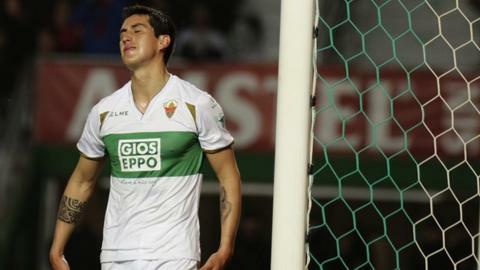 Elche will appeal, saying the debts will be settled by the end of July. Basque club Eibar's maiden season in La Liga ended in relegation on the final day in May.